Low plasticity burnishing (LPB®) is an accepted process of the US Air Force Engine Structural Integrity Program (ENSIP), MIL-HDBK-1783B. Lambda Technologies is an approved supplier for NAVAIR, Pratt & Whitney, Delta TechOps, and GE Aviation. 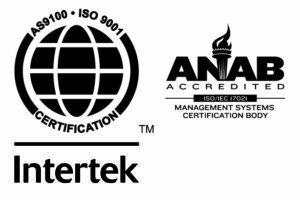 Lambda’s quality system has been certified by major corporations for meeting their specific criteria for laboratory testing including General Electric, Honeywell International and Bechtel SAIC. Lambda is the only S400 lab in the world certified by General Electric to perform residual stress measurement. Lambda Research is an approved supplier of design verification for Rolls Royce. Below is a list of testing specifications for which Lambda is certified. Lambda’s technicians are required to undergo extensive training. Technicians must pass both written and procedural tests for each procedure per ISO 17025. Lambda has a stringent validation schedule for all of its instrumentation. An assortment of proficiency standards, specific to each instrument, is used for validation of the measurement equipment and verification of technician proficiency. Lambda has specific procedures written for the tracking of test samples from the moment the sample is received to when it is shipped following testing. Furthermore, Lambda understands that the proprietary nature of the customer’s component design is very important. We treat every test sample as proprietary to the customer. Lambda has several proprietary information or non-disclosure agreements on file.